Converts bilge pumps to fully automatic operation. Maximum amp draw is 12 amps (at 12-volt D.C.) or 6-amps (at 24-volt D.C.). Features a compact, low-profile design that mounts on any surface from horizontal up to a 24° angle. 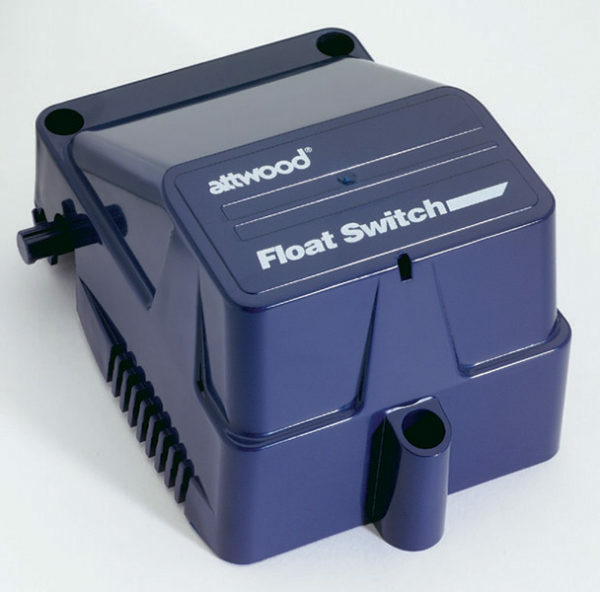 Incorporates a reliable and affordable mechanical switch that actuates pump motor at 2″ water level. Wire leads do not flex or hinge with the float as on some competitive models. 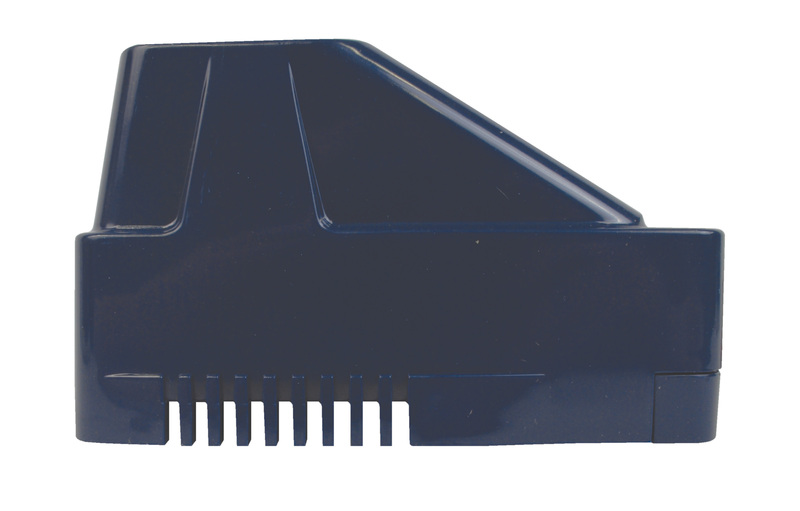 Integral cover dampens bilge sloshing to reduce pump cycling, and prevents debris interference. Sealed switch mechanism resists moisture, fume-ignition, and electrical shock. Contains no mercury, which is listed as a health hazard and Persistent Toxic Substance in over 26 states. Marine ignition protected and RoHS compliant. 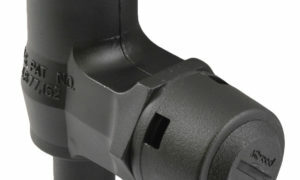 Float switch installs independently or directly onto the rear slots of the V-Series pump bracket. 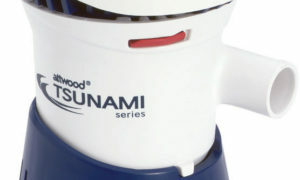 Features a convenient test knob to test pump operation.